North-west of Saint-Gengoux-le-National one can find some villages with interesting churches, such as Saint-Martin-du-Tartre, Genouilly and Germagny. The hamlet Maizeray, near Saint-Martin-du-Tartre, hosts a former church according to Le site sur l'Art Roman en Bourgogne. After we had seen the church in Saint-Martin-du-Tartre, and before we carried on with our sightseeing tour it seemed logical to drive through Maizeray in search of that church. Was this priory the church I was looking for? Not all hamlets around here are tiny. Some, like this one, are even bigger than the commune they fall under. After a trip along all the roads entering and leaving the village we still had not spotted anything slightly resembling a church. But luck and chance sometimes lend a helping hand. Just when we were about to give up we saw a young man doing some work outside his house. And that is sheer luck, because most of these places are deserted when you want someone. 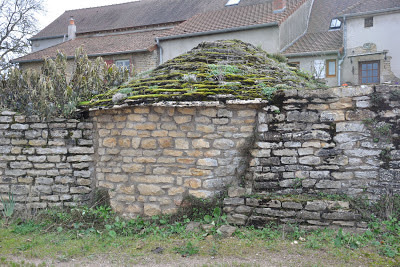 We asked him for a church or the remains there of, and at first instant he referred to the church of saint-Martin-du-Tartre. We told him that we had just seen that one, so he went inside to check with his girl friend. 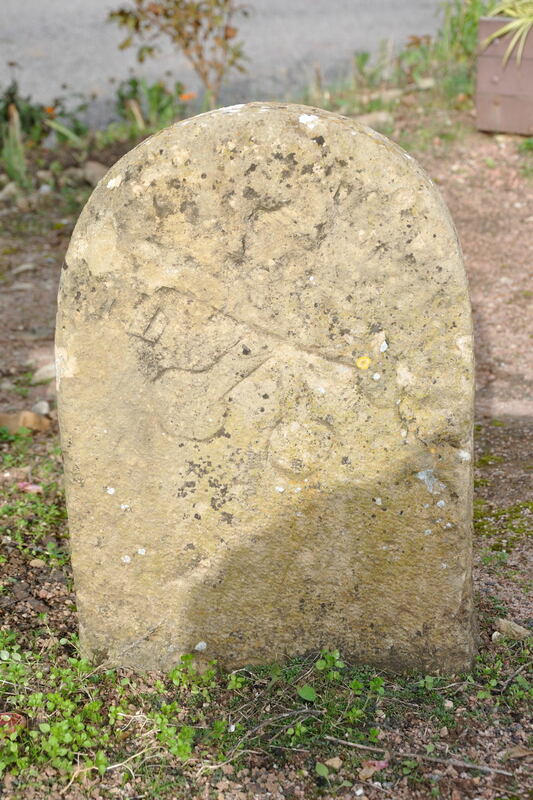 When he came back he told us that there had been a priory in Maizeray once, and that the remains of that building were owned by the neighbour on the other side of the road. That neighbour was not in, but this guy knew how to enter the premises without breaking and entering through a non-locked gate, and in we went. And that is how we found the remains of an old priory. After I had taken some pictures there, we went off to visit the church of Genouilly, which turned out to be a very interesting one. 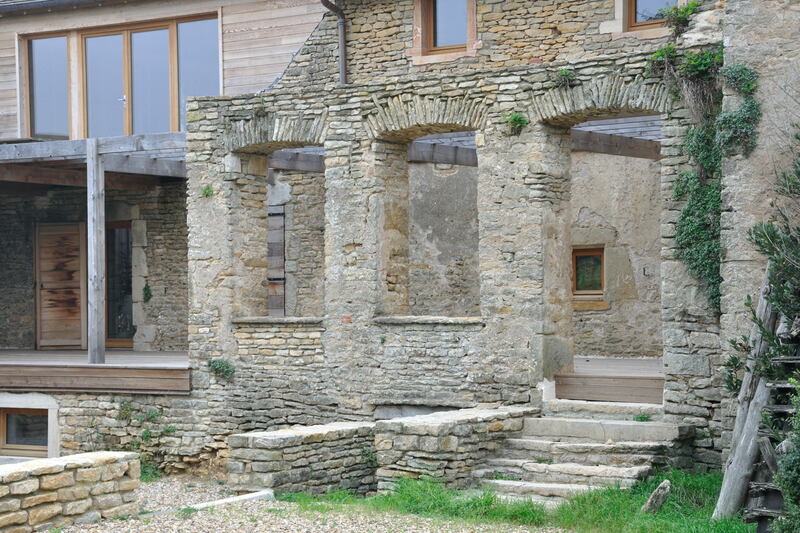 When we came home I contacted the webmaster of "Le site sur l'Art Roman en Bourgogne", who replied promptly. 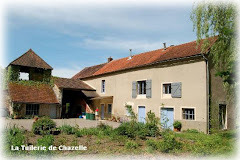 He did not know what the church looked like, or in what state it was, but he was quite adamant that the church was near the oratoire in the village. He even sent me a photo of this oratoire, which to me looked like a cross between a war memorial and one of those road chapel one sees a lot in Germany. In any case, the priory was not what he was looking for, and that is why I put Maizeray for the time being on hold. The remains of a church wall? 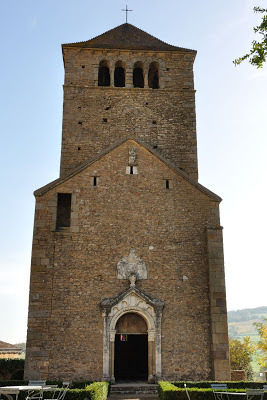 Not long after this we made another trip along a number of interesting churches in that part of the world, amongst them the ruin of Le Puley, and again we passed through Maizeray. This time we knew what the oratoire looked like, and it turned out to be not difficult to find. Eduard had more or less suggested that a wall which was now part of the oratoire might well have belonged to the church we were looking for. In those instants the boy scout (which I never was!) surfaces, and looking around there the following matters were brought to light. 1. Behind the semicircular wall there were several traces of rubble, which might well be the remains of a wall. 2. 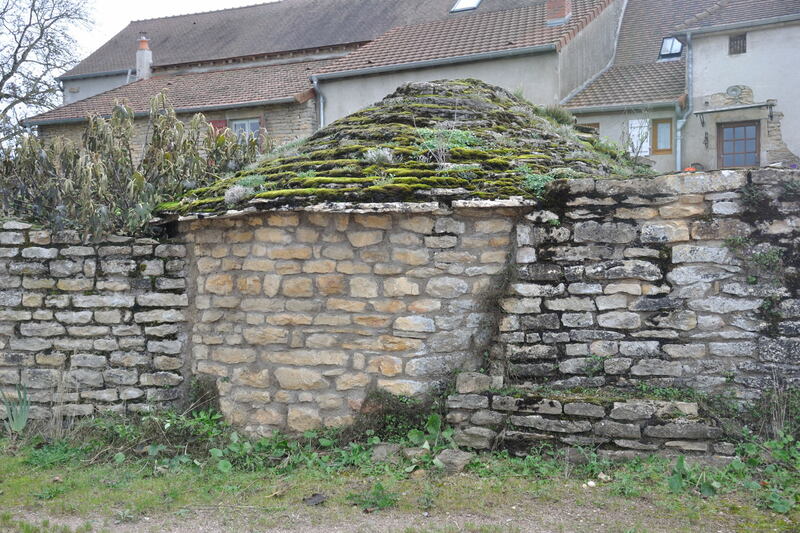 In front of the oratoire there was a cadole (a semicircular agricultural shed, often built in dry stone) as you can find by the dozen in the fields around here. Someone with an overabundance of fantasy could see the remains of a chapel in this thing. 3. Finally we found, near the oratoire some sort of milestone with strange inscriptions. With my ever present fantasy I could recognise the papal keys in the coat of arms of Cluny. 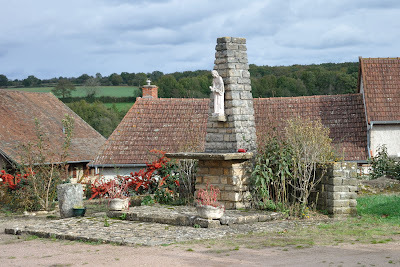 There was not much more to see there, and after having duly photographed every stone that might have any relevance, we got into the car, left the parking area near the oratoire, and turned into the road leading home. 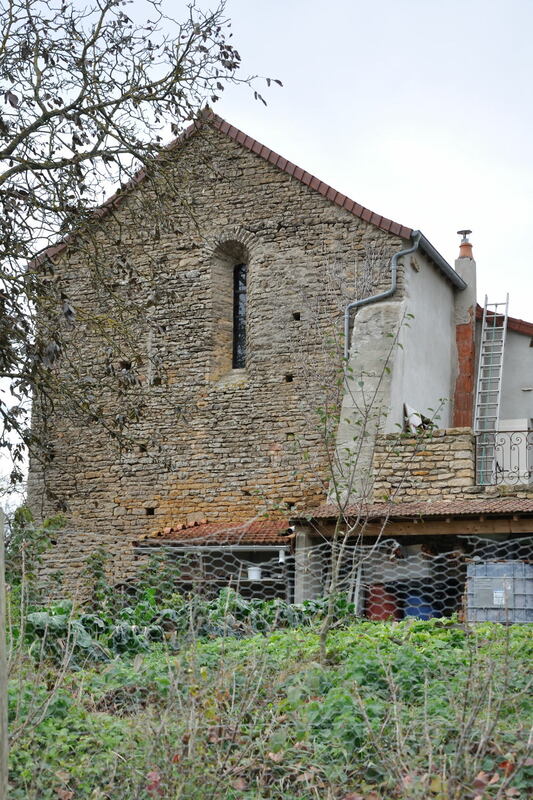 And that is where it happened; from the corner of my eye I spotted a church window in the facade of a house standing at the bottom of the knoll the oratoire was on. I shouted stop, the driver made an emergency stop, and we were able to photograph this Romanesque gem, in able to preserve it for posterity. The moral of this story : don't give up too easily, at the end of the day it is dogged that does it! Found, the former church of Maizeay! 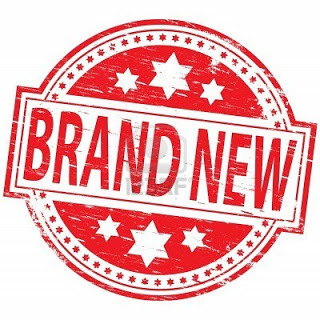 Since early August 2013 the original URL to the site "Le site sur l'Art Roman en Bourgogne" is no longer valid. 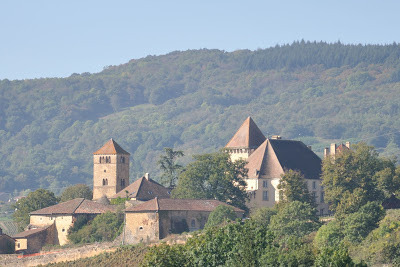 In various blogs and on the interactive maps of Romanesque churches in Burgundy I rather abundantly refer to this website; obviously these links do not work anymore either. 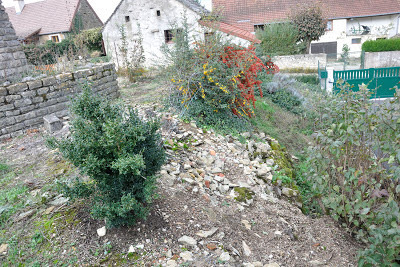 The problems around that site have been solved; click here to find the new "Le site sur l'Art Roman en Bourgogne". The links on my maps have been changed accordingly. Just like the chapel in the previous blog, this one also belongs to a castle. Although not as stunningly located as Berzé-le-Châtel, Pierreclos is certainly worth a visit, and not only for of the castle. 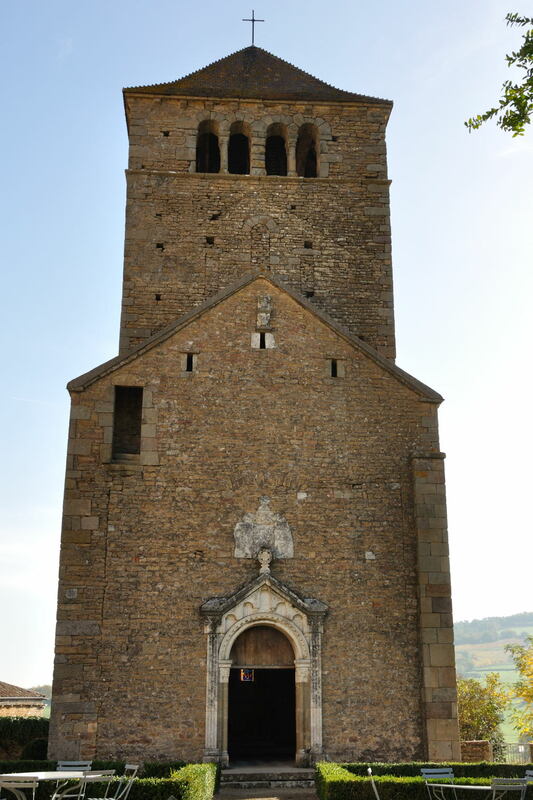 The chapel on the castle grounds is a jewel of Romanesque art. The castle lies outside the village, about 1 km south of it. We had also visited this château previously, years ago. In those days one had to take a guided tour, and a wine tasting was also included in the tour. Even though the caves are beautiful (Pierreclos, like Berzé-le-Châtel grows its own wine), we were not very impressed with their wines. Nowadays (2013) they have a in my opinion a better system. There is no longer a guided tour, and one can choose to buy just an entrance ticket (€ 7.50), just a dégustation (€ 3.00) or a combination (€ 9.00). Needless to say that we went for the first option. Our first port of call was the chapel, which has been decorated from top to bottom in the 19th century. 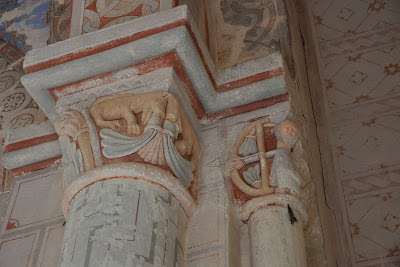 Even though they also painted the Romanesque capitals at the same time, the colour combination of those fits in quite well with the rest of the chapel. The capitals are very interesting, and show a mix of floral, human and animal motifs.